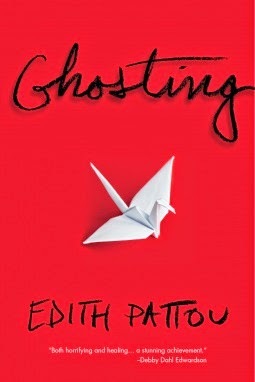 Today, I bring you a review of a different sort in honor of the blog tour for Ghosting by Edith Pattou. For more information, visit Goodreads or the author's website. Thank you to BookSparksPR for a copy of this book in exchange for an honest review. Is this how it is written? Becca Lostinbooks ... Yes. The book is written almost completely in verse, and it really, really worked for me. Cool! I really loved that style when I read The Lightning Dreamer by Margarita Engle. You'd probably enjoy it as well. Becca Lostinbooks ... I will have to check that title out as well. Thanks for the recommendation! I have this...I can't wait to get to it! Patty Magyar ... When you do, it will be a quick read. I read it all in one day in a couple of hour spurts.